At the Absolute Hotel in Limerick City our guests always come first. The Absolute Hotel & Spa is an ideal wedding venue in Limerick City. Absolute weddings are weddings with a difference. The combination of design-forward surroundings, excellent ballroom and banqueting facilities, central location, beautiful views and amazing value for money will appeal to any style conscious couple. We understand what a big day this is for you and we want to become a part of this special occasion. Our Wedding Co-ordinator will help you in every detail of your wedding and make it the perfect day for you. 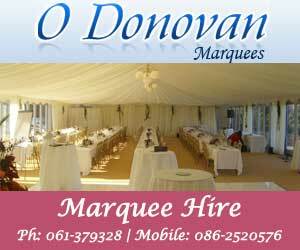 Please contact the Wedding Co-ordinator on 061 46 36 10 to arrange a viewing of our Abbey Suite. The Absolute Hotel & Spa is a unique & modern venue for civil ceremonies within Limerick. Since opening, we have catered for numerous civil ceremonies, including multi cultural ceremonies. Upon signing the paperwork in the Registry office, gather your family and friends for an intimate blessing in the beautiful Abbey Suite. Talk more with our Co-ordinator who has 1st hand experience with organising a civil partnership. 061 46 36 10. Whether your dream wedding is small and intimate or something more extravagant, the Absolute Hotel has all the facilities you need. Our experienced wedding co-ordinator and events team have hosted many civil ceremonies & receptions and to date have already had a number of civil partnerships. We know that each couple is unique, so we make all our events personally yours. Why not make an appointment with our co-ordinator and let your dreams turn into reality. The Glenview Hotel and Leisure Club is a 4 star Luxury Hotel in County Wicklow set on over 30 acres of woodland walks, beautiful gardens and located in the heart of The Garden of Ireland. The Glenview Hotel is a stunning venue for your wedding celebration in Co. Wicklow. The Four Seasons Hotel offers luxury accommodation - extensive leisure facilities and a warm Irish welcome, making it one of the best hotels in Louth, the perfect location for a fantastic break for both leisure and corporate guests alike.